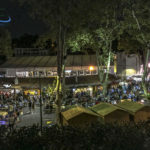 The local town market in Cascais hosts a revolving series of festivals disguised as specialty markets throughout the year. While in the past our house favorite has been the Mercado do Chocolat (for what I hope would be obvious reasons), we now know a strong contender to knock the beloved sweet stuff off of the top spot in our hearts. Witness the Mercado da Cerveja Artesanal. 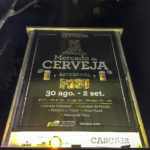 For four enchanted evenings, the outdoor portion of the market featured stalls with brewers around Portugal showcasing their latest and greatest. 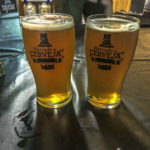 Even a few international brands jumped into the mix—though it feels incongruous to me to drink Lagunitas in PT when so many local breweries are working to get on their feet and gain a following. 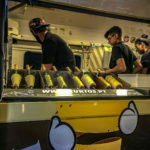 Mixed in with the beer venders were a variety of food kiosks, shoveling out everything from cozida portuguesa and various cured meats to hot dogs and a Mexican taco stand. 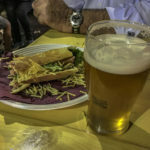 With a 2-euro imperial glass (or a larger 3-euro caneca of sorts) you gained access to 1-3-euro pours from the breweries, and well-priced food with which to soak it all up. Of course, you could walk with the glass at the end of the night. 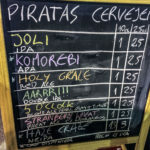 For my first tastes, we visited friends at Piratas Cervejaria, a fave of mine. I tried the AARRR!!! DIPA, and my partner in crime went for the Joli regular IPA. I had hoped for the Haze Craze NEIPA, but that was not yet on the taps. Sigh. Still, I floated on the ride of hops and balanced citrus feelings to start off our evening. Next, we sidled over to friends of the Piratas gang, at Sadina in Setúbal. My love had the Proa Hoppy Ale (a touch of coriander on a pleasantly bitter frame), and I went darker with an Ancora Wee Heavy (amber, malty, sweet, rich stuff). 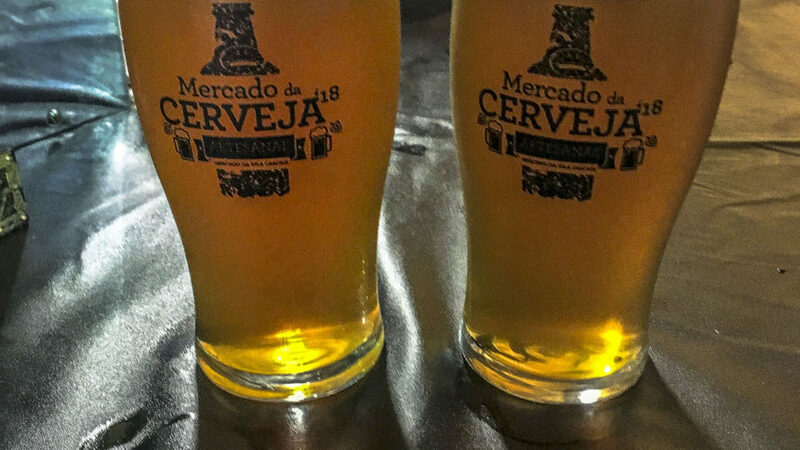 The nautical theme suits Portuguese craft brews—it doesn’t feel like an affectation in a country of navigators and colonialist strivers from centuries past. Nowadays, it’s good enough to suit up in your best sailor gear and storm your way through a caneca or two on dry land. 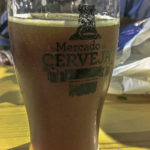 Staying with the dark theme, I then went for a Chinook Brown Ale, from Pato Brewing Cervejaria, in nearby Beloura. The taste of Vapor I tried was too light (a California Common Ale) but the Chinook satisfied. I bought a three-pack of bottles to take home, and so far I’ve now enjoyed the Pipa IPA, and the Patinho APA. Nice work, folks. Copyright © 2019 A Beer For Strange Climates All Rights Reserved.